It's way too cold to hit the beach for a golden tan which is why we need to stock up on our self-tanning products. Say hello to my favourite self-tanner brand of all time, featuring St Tropez where I'll be chatting about some of their amazing multi-tasking products. 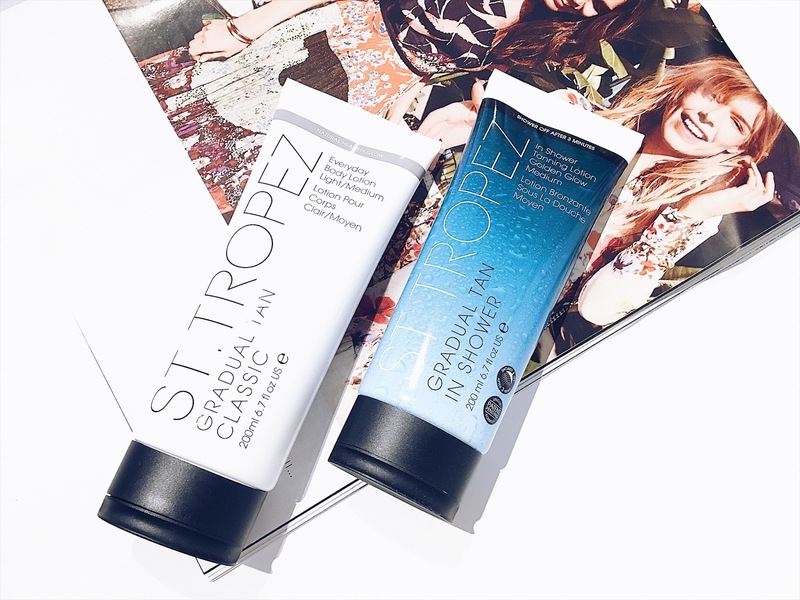 You can now look to achieve a healthy summer's glow with two interesting products from the St Tropez range. They include their 'In Shower Tanning Lotion' (they come in Light or Medium) and you can easily look to incorporate a streak-free and easy to use application whilst you shower. The other product is their 'Everyday Lotion' (in Light/Medium) which looks to hydrate and give you more of a golden glow to your skin. Here's what I thought about the range and I do hope you enjoy the read. Guys, if you want an easy way of looking to tan your skin, then there's no better way to then tan whilst showering. This product magically works to give you a sun-kissed look and if you have pale skin like myself, you can expect to see the results right after you've finished showering. The lotion comes with Sweet Almond oil which smells seriously nice and blissful. My skin felt super nourished right after using this tanning lotion and it's a great way to rehydrate any dry patches on the skin as well. I love a good multi-tasking product because it helps to deliver various benefits for you. How I would essentially use this product is right after cleansing my skin in the shower, I would switch off the shower and look to generously apply the tanning lotion all over my body by using circular motions. After you've covered all bases, wash off your hands and wait for three minutes. After the time is up, look to rinse it all off using warm water only. It's an easier way to self-tan and it doesn't get messy because you're already in the shower. So for a product like this, it definitely is suitable for my lifestyle because it's ideal for whenever I want to achieve a quick self-tan fix, pop on my clothes and then head out. 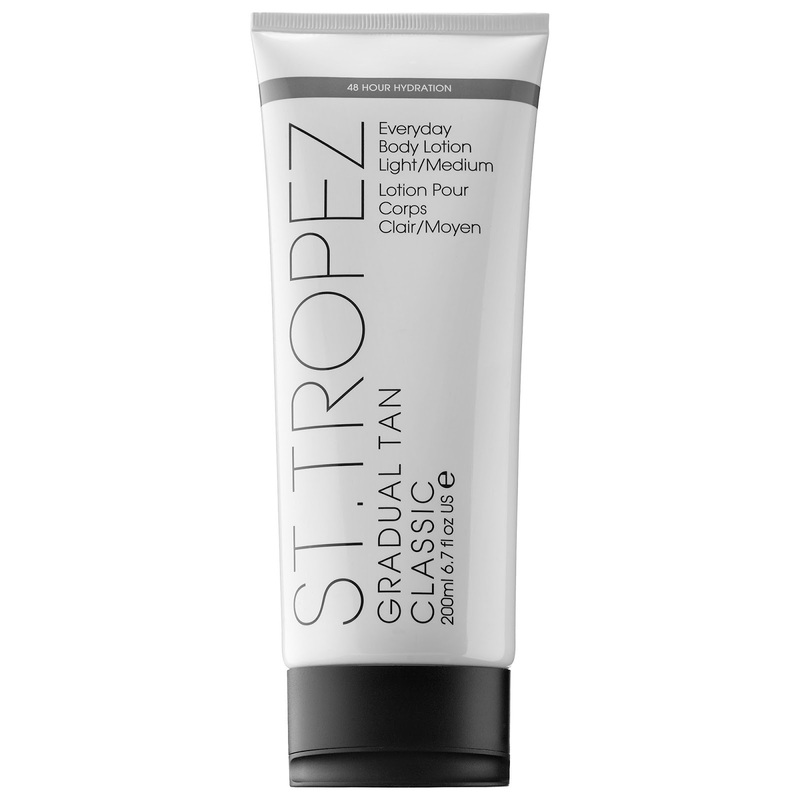 I would definitely give a thumbs up for the In Shower Tanning Lotion by St Tropez because it's a lovely multi-tasking product that looks to offer you a quick fix and a natural, golden glow. Look to get that streak-free application as well as a natural golden glow that stays hydrated for up to 48 hours. Okay..this is the perfect product for winter coming because all you need to do is look to slather this lotion onto your skin every few days or so. It looks to give you a natural and golden looking tan as well as leaving your skin feeling moisturised and hydrated at the same time. Once again, it's an amazing multi-tasking product that works with your daily schedule and is so time efficient. The lotion is buildable so everyday, look to apply the lotion onto the areas that you wish to deepen more of the tanning glow. Make sure you look to wash your hands and palms after every application. For more information, make sure to visit St Tropez's official website here. 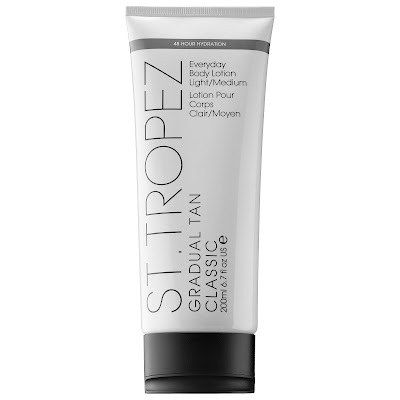 What are your thoughts on the multi-tasking St Tropez products as mentioned in the above post? Thank you St Tropez for supporting me for this review. My reviews are based on my own experiences and I only recommend products that I truly believe in.